So What Is Bodybuilding Exactly? Defining, what is bodybuilding: is a simple question, with no simple answer. I have been around weight lifting and bodybuilding for several decades, and a simple explanation of this question is not easy. I will try to unravel what bodybuilding is in this article to answer this question, as part of the world’s populace including the Olympic Committee, argue that bodybuilding is not a sport, So... what is it? The average person thinks in tones of extreme when it comes to bodybuilding, most people seem to naturally react by thinking of huge brawny men in posing trunks under bright lights on a stage. Is this all there is to bodybuilding? Let’s find out. What Is Bodybuilding As A Lifestyle? What is bodybuilding? Well... there seems to commonly be 2 extremes. This is the extreme end of competitive bodybuilding and only a very small percentage of elite men and women that are dedicated and athletically gifted, are able to succeed at this level. The person that goes to the gym, but spends more time chatting, texting and taking self-portraits in the form of selfies with their phones and sending them to friends, than actual expended effort in the gym, could be the other end of the spectrum. Bodybuilding as a lifestyle has more to do with the majority of people who simply want to increase their fitness level and build a better body. Bodybuilding; is a training method often unique to each athlete that sits under the umbrella of weight training. Put in simpler terms: whether you use free weights, machines, resistance bands, lift rocks, cement blocks or bricks it doesn’t matter; muscle strength and bone density are built simply: by increasing resistance, which by definition is: increasing resistance to gravity. What is bodybuilding as a lifestyle? This more or less is up to each individual. Bodybuilding is not a team sport, you’re on your own; it is deeply personal and success in it needs to be defined and rewarded by setting goals. This lifestyle has grown huge as a new fitness paradigm, you can go at your own pace, set your own hours and levels of intensity to suit your goal or lifestyle. Ultimately if you ask, what is bodybuilding... It's often exactly what you put into it! What does it mean to be natural... well, again, opinions vary, 10 different people will give 10 different answers. Some competitive-bodybuilder’s when asked this question may laugh or shake their heads saying; there’s really no such thing. Some bodybuilders that use performance synthetics argue that; natural guys using certain (natural ) supplements that the body does not naturally produce on its own, constitutes as an unnatural bodybuilder. Arguing trains ego, not muscle; if you eat regular meals, train like hell and stay away from illegal drugs; you’re probably pretty close to natural! The public eye and social media seems to accept natural bodybuilders more readily, simply: because there physiques are not as freakish in looks as drug lifters, hence: natural bodybuilding. Natural bodybuilding is a choice; the word 'natural' should in no way be misconstrued as an easier form of bodybuilding, because it is not! He or she has to rely on their body’s natural anabolism to increase muscle mass. What Is Professional Competitive Bodybuilding? 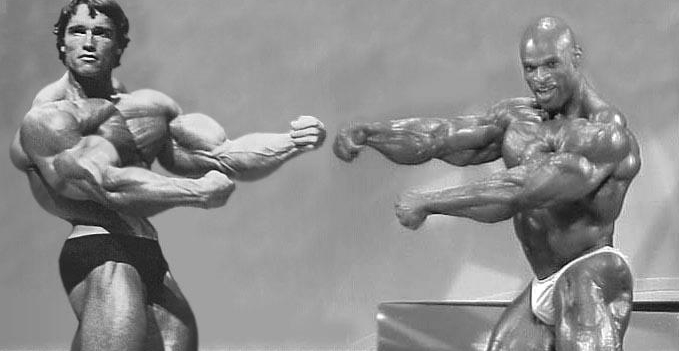 Competitive bodybuilding can be broken into a few basic groups, such as: natural, amateur and professional. With men's and women's categories ranging from teens up to to 40 years of age. The classification from beyond 40 years of age is often classed as masters and grand masters, depending on age and class you've entered in. Natural bodybuilding varies in popularity and does struggle with sharing the spotlight from major magazines and televised competitions etc., other marketers like the supplement companies, seem to have an easier time marketing the big names of competitive bodybuilding. These guys work hard and do anything to win in their given field, there is no guessing whether these guys put hard work into their physiques or not. They are incredibly massive, tanned, oiled, separated and shredded, it’s eye-popping and jaw dropping to see these men or women on the competitive stage. Competitive bodybuilding is an acquired taste, most ordinary people that commit to bodybuilding are not as interested in the competitive stage. Comparatively, bodybuilding competitions don’t naturally rank as well as other sporting events such as boxing, MMA, golf, football, hockey, etc., competitive bodybuilders, pound for pound have to work extremely hard for any media attention they get. There is only a few people that understand what a drug-induced competitive level bodybuilder has to put him or herself through to win a major bodybuilding contest... it’s a lot! What is bodybuilding? From the Schwarzenegger era to the stage of today, competitive bodybuilders have become so huge and massive that the public eye is not sure what to make of it, and some of the attendance for these competitions has slumped as a result. I still appreciate both levels of bodybuilding and both sexes on the stage, giving it their all. Again, competitive bodybuilding is all in the eyes of the beholder as to what, is aesthetically pleasing. 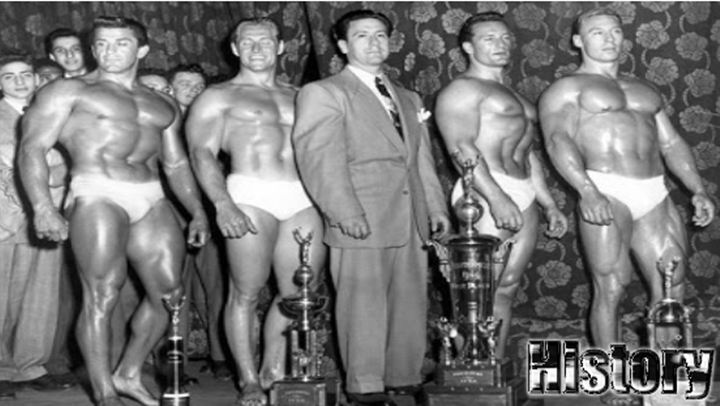 Bodybuilding and its history in the 40's and 50's from its earlier competitive years were not solely cash driven or nearly as competitive as they are today. Some of these competitions were judged more on the athletes overall looks and hygiene, with benefits and points scored for having a good muscular physique. including movie stars like Arnold Schwarzenegger and Steve Reeves, even gym owners like Joe Gold and Vince Gironda to mention a few, all played a big part in raising popularity in bodybuilding. Popularity also grew from televised competitions aired on sports networks like ESPN. These people and others like them helped to popularize the ever popular training methods bodybuilders use today, all over the world to enhance their physiques. Breaking body parts up into manageable training increments with weekly split and double split routines, changed the training dynamics for the competitive bodybuilder forever. From this... emerged competitive bodybuilding that we see today! Much of this was the result from pioneers of yesterday working, using trial and error and less than perfect equipment to prefect training methods and better nutritional practices for the bodybuilders of today. Can Anyone Be A Bodybuilder? What is bodybuilding and can anybody be one? Perhaps a better question here would be, what actually makes a body better? Well… If you try to eat 3 or 4 nutritious meals a day, watch your fat, sugar and salt intake, you’re probably living a bodybuilding life style. If you enjoy long walks or jogging three times a week, this too can be a bodybuilding lifestyle. If you go to the gym train with weights, ride your bicycle; pack your groceries back from the store, take the stairs instead of the elevator this too is an effort towards bodybuilding. If you play sports, work hard physically at your job, or train as a martial artist, these can all be part of a non-competitive bodybuilding lifestyle. When you make the decision to build a better body. this is the embodiment of non-competitive bodybuilding. So what is bodybuilding? It is the act of you first making the decision, you want to improve your performance or how you look; over what you did yesterday. The subconscious makes the decision and wills the conscious to change. Consciously you set a goal higher than you did the day before. Maybe you walked 10 more feet than you did yesterday. Maybe you lifted five more pounds or did one more repetition in the gym than you did last week. Age, genetics gender and athletic ability: surprisingly, have little to do with your success. But, making the decision to change definitely does. Bodybuilding is a game often played out in the mind! If you want to be better, challenge yourself, not others. One of the greatest bodybuilders of all time Dorian Yates, said it best: "I'm not there to compete against others, but to compete against Myself ". Plan and set goals with rewards along the way. Change-up the music you listen to, add variety to the exercises you choose. Be creative, imaginative and make this time fun, because this is your time - to build a better you! Every time you ask what is bodybuilding and it's lifestyle: it's making each minute of it count, and enjoying it's many benefits and rewards. Most people only associate hard work with financial gain, Bodybuilding is different, the rewards are worth more than money can ever buy... Your health and well being should always be at the top of life's list.